One of the biggest revolutions in technology was that you could actually record what you are seeing, which came to be known as a video. Although the technology has evolved a lot since then but we all know if we are recording something we cannot really be in that moment. 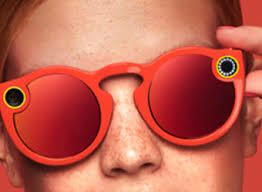 But thanks to technology only we have one more amazing product for you - the Snapchat Spectacles. Yes ! These glasses were launched by the world famous social network Snapchat. Now you can actually record something and socialise and be a part of it too! Pretty convenient right? 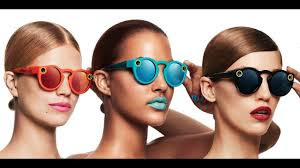 Also wearing a camera is too cool for our generation and these spectacles are all the buzz these days. These glasses are available in a wide variety of colours. One of the setbacks might be that the camera only records 10-second videos aka 'snaps'. But I am telling you 10 seconds are enough to record any moment and moreover, this is on us that we take this as a problem because the glasses fit their label - 'snapchat' glasses as it is recording 'snaps'. These glasses are available for a good price of $130, but it is again on you that you find the price worth it or not. You will get the glasses, a charging case, a USB cable and a cleaning cloth too! 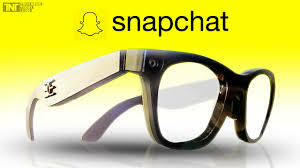 The glasses are compatible with both IOS & Android and capable of recording 100 10-second snaps per charge. Isn't that more than enough ?! Once you tap, recording begins. And to stop recording, simply hold the button for two seconds. When recording is in the process , the featured LED lights illuminate in a circle. These lights also flash when you have a low battery, full storage, a software update or in low and high temperatures. These glasses have a lot of advanced technology to offer! I think overall these glasses are a must-have, not only for the most active people on social media but for everyone and they are also not asking a lot - just $130! I would advise you to order these asap and become a part of this modernised world! I hope you had a fun time reading this article! We people always enjoy new technology, don't we? Please share this if you want more people to modernise and stay tuned for more amazing technology !